HomeMUSIC NEWSRiot V Inducted To The Hall Of Heavy Metal History + Reveal Cover And Title To New Album! On Wednesday, January 24, 2018 the metal community gathered in Anaheim for the Hall of Heavy Metal History induction ceremony. Cult New York heavy metal band and godfathers of power metal RIOT V was inducted alongside Black Sabbath drummer Bill Ward, Dream Theater keyboardist Jordan Rudess, bass virtuoso Billy Sheehan, and other metal royalty for their contributions and influence on the community. The album was produced by:Chris “The Wizard” Collier (METAL CHURCH, FLOTSAM & JETSAM, SLIPKNOT, KORN a.o.). While the cover artwork was created by Mariusz Gandzel (CRYSTAL VIPERa.o.). Stay tuned for more information on Amor Of Light. Since their legendary debut album “Rock City” (1977), RIOT has released numerous heavy metal classics, including “Fire Down Under” (with classics like “Swords And Tequila“), their masterpiece “Thundersteel” (1988), and the unforgotten “The Privilege Of Power“(1990). After the death of Mark Reale and the departure of Tony Moore, Todd Michael Hall (from Michigan, USA), completed the line-up of the band, which in the meantime performed under the name of RIOT V under the auspices of the two long term members and main songwriters Donnie van Stavern (bass) and Mike Flyntz (guitar). With the critically acclaimed “Unleash The Fire” (2014), a pure power metal jewel once again underlined the musical importance and influence of the quintet. 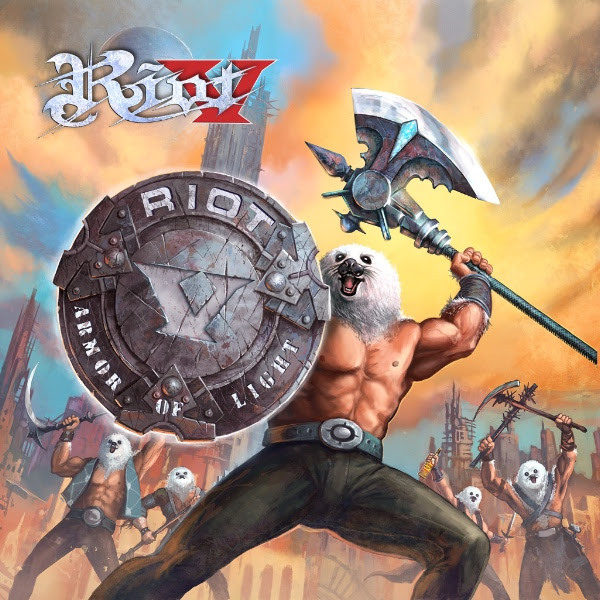 Many artists name-check RIOT as an important influence of their musical career and have paid tribute to the power metal godfathers on multiple occasions. The list is long and includes several well-known acts such as HAMMERFALL (Flight Of The Warrior), Luca Trill’s RHAPSODY (Thundersteel), AXEL RUDI PELL (‘Warrior’) and newcomers such as NIGHT DEMON (Road Racin), ALPHA TIGER (Flight Of The Warrior), SAVAGE MASTER (Swords And Tequila) and STALLION (Rock City). RIOT V truely are metal soldiers and will keep marching and fighting the good fight to bring you the music you’ve come to know, love and expect from RIOT V.